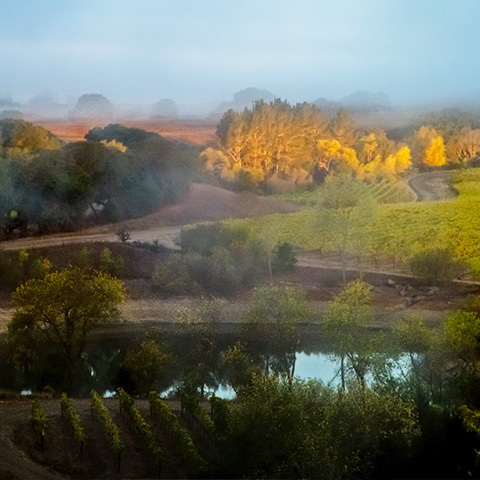 A visually stunning winery with breathtaking views serving Sonoma County & the entire North Bay. What makes Notre Vue Estate so special is the diversity of terroir that sweeps across the rich tapestry of our land, allowing us to grow a selection of European grape varietals rarely found in such close proximity to each other. The vast views from the summit are a patchwork of vineyards and open space seamlessly woven together over the years. Visit our winery for a memorable tasting experience in the North Bay. By sampling a range of wines, you can discover more about your personal preferences. Remember, no one started as a wine expert. Identifying which flavors and qualities you like takes time and practice. You’ll find an exceptional selection of cultivated wines here at Notre Vue. The wines we produce at our estate vineyards are recognized for their uniqueness and richness. Are you interested in learning more about wine and experiencing new flavors? The next time you are visiting Windsor, CA; Healdsburg, CA; Napa Valley, CA; or the surrounding area stop by our wine tasting room. If you are a wine enthusiast looking for extra perks like preferential pricing, special event invites, and new bottle releases, join our wine club. Members of our exclusive wine clubs for Napa County, CA and Sonoma County, CA enjoy these kinds of special benefits all year round. Please visit NotreVueEstate.com for more information. Receive updates on events, vineyard news and wine releases. We would love to stay connected with you. Join our email list by filling out your name and email in the space provided or feel free to call us at 707.433.4050.